Garage doors remain one of the most negleted parts of the house. Before you know it, you need a service call to get your garage door working again, so keep your home's "big door" maintained regularly to avoid breakdowns. You can even paint or replace your old garage door to enhance your home's curb appeal. Can You paint a garage door? Yes, but use an acrylic latex paint on a steel or aluminum garage door. For wood doors  and whether or not you wnat to accentuate wood grain  use stain, exterior latex or oil-alkyd paint. 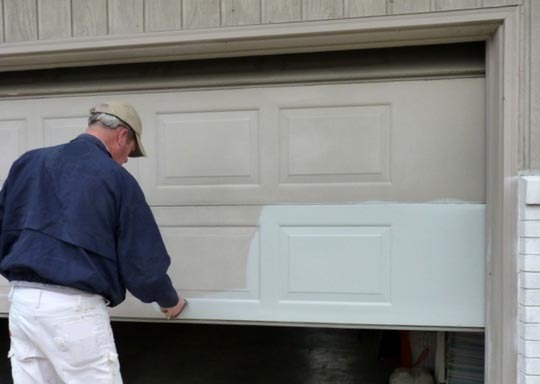 Scrape away chipping or loose paint and clean the garage door to be painted with a degreaser. Start painting with a primer for best adhesion, then paint a final top coat when the primer has dried. New garage doors usually come with two baked top coats and should last 20 years or more. However, a newly painted garage door should last about 10 years. What's the useful life of a garage door? 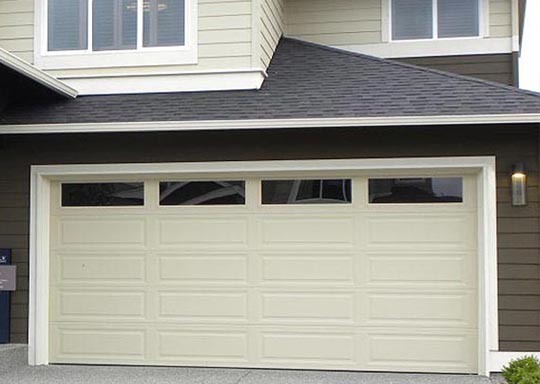 The manufactured original garage door quality influences how long a garage door will last in years. 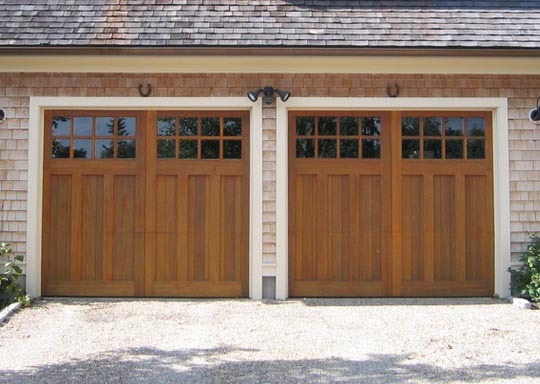 Generally, garage doors should last about 15 years. However, higher quality doors of 45mm gage steel with polyurethane insulating foam insulation should endure somewhere between 20 to 30 years. 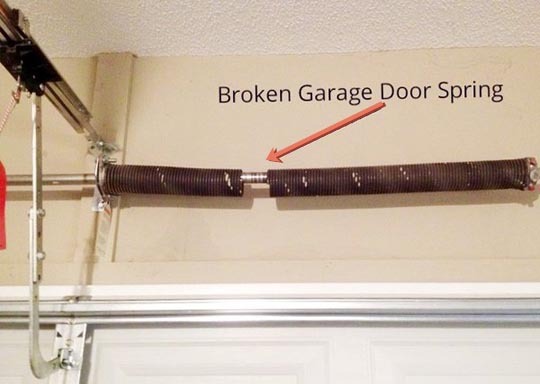 By comparison with the garage door interior workings, openers last 10 to 15 years, while garage door torsion springs fail after several years of open-close cycles (see below). Your regular attention to garage door maintenance and lubrication should extend the life of your garage door and cut down on service calls. What is the service life of garage door torsion springs? 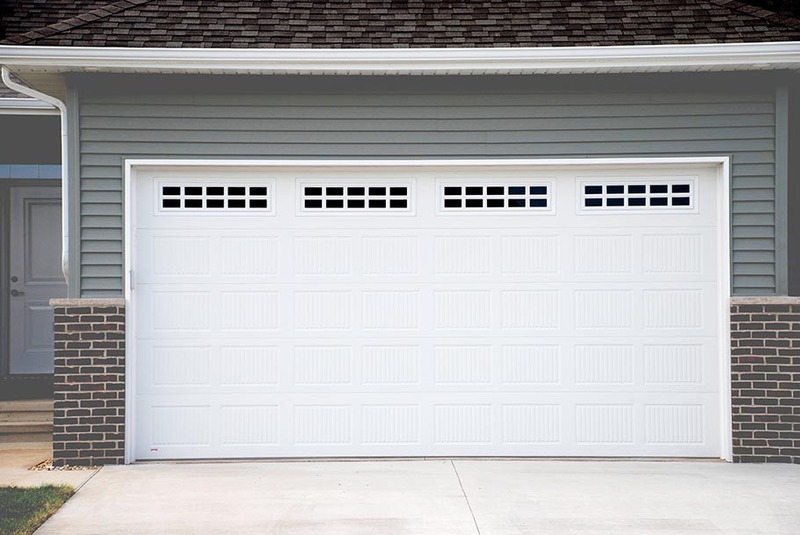 An open and close movement of your garage door corresponds to one open-close cycle. So expect a garage door spring to fail around 10,000 cycles. Your awareness toward regular maintenance and lubrication of the hi-tension torsion spring and moving parts may extend the life of your springs and garage door. But make sure you use the right lubricant. Don't use petroleum-based WD-40®. Instead, buy an approved garage door lubricant with a Teflon, graphite or lithium as a base. More: How to lubricate your garage door video. Learn More. You should know that if your torsion spring breaks, do not attempt to replace the spring yourself. There have been cases of weekend projects going awry involving garage door springs. Injuries can occur when while trying to figure out how to wind high-tension torsion springs. By the way, if one spring breaks, both springs need to be replaced. That's because you don't want to deal with another service call real soon. Leave the job to us  professionals who get the job done safely, with proper experience and special tools at hand. 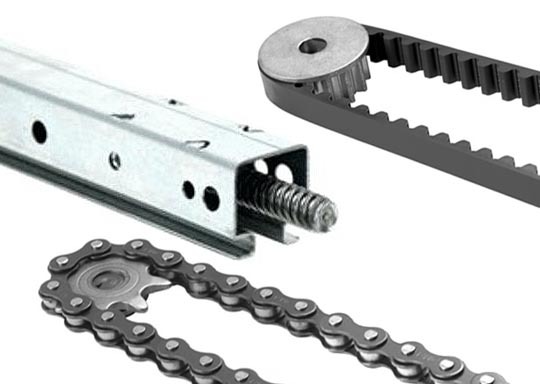 What's the Difference between Screw, Belt and Chain Drive Garage Door Openers? Screw drives are the most powerful of the drive types. They're capable of lifting heavy garage doors quickly and have fewer moving parts. They have fewer moving parts and are less noisy than chain drives. Belt drives, are included among the best openers on the market. They use a rubber belt system, are dependable and very quiet. If you have a room adjacent to an attached garage, where a noisy garage door is bothersome, a belt drive opener is for you. Belt drives are the longest lasting of the opener systems. Chain drives, those durable, economical and reliable openers, dominate the opener market. These openers tend to generate noise during the open-close cycles, so they are a good choice for detached garages. But sometimes you want to know when a garage door is being opened, especially if you have children. If that's a factor, then the lower-cost chain drive opener is for you. What about one double garage door vs two single garage doors? We agree, and also advocate two single garage doors over a single double garage door because if a repair is needed, you can always get one car out of the garage. Additionally, you find less air flow with two single garage doors. Also, take into account the vehicle you want to park in your garage. In your discussions with your designer or architect, you will need to make sure that there's enough space on each side and the end for storage space. Allow for vehicle door swing and space for a side access door, if included in the plan. Finally, the bigger the garage interior space and an enhanced garage door exterior, such as a carriage house style, will also add to your home's resale value when you decide to sell.